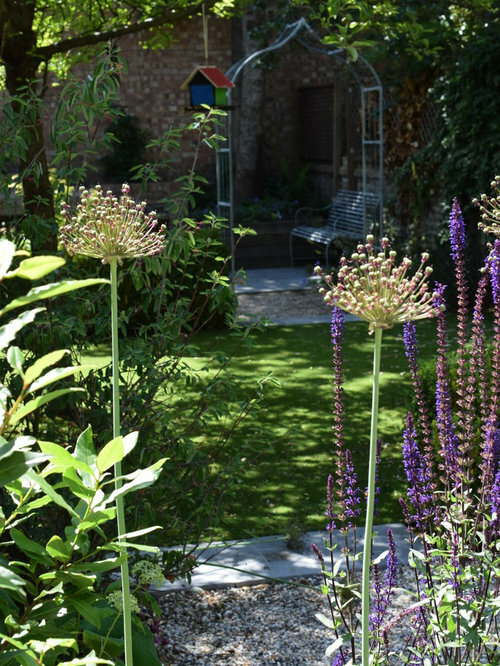 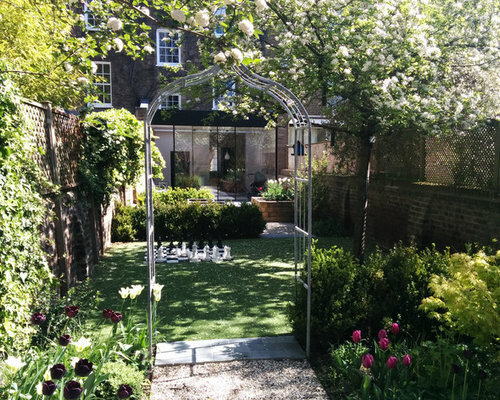 This long narrow garden at the back of a tall Victorian house in Camden includes a patio near the house, a vegetable garden, a lawn (artificial) with an existing apple tree, and a paved area at the end of the garden which incorporates a wood fired oven and charcoal barbecue. 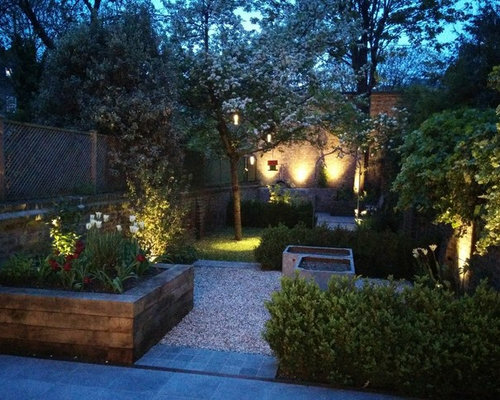 3 lines of box hedge are used to separate the areas; Bluestone is used for the paved sections and to mark the transition between areas; it blends well with the grey of the arch, benches and old water tanks. 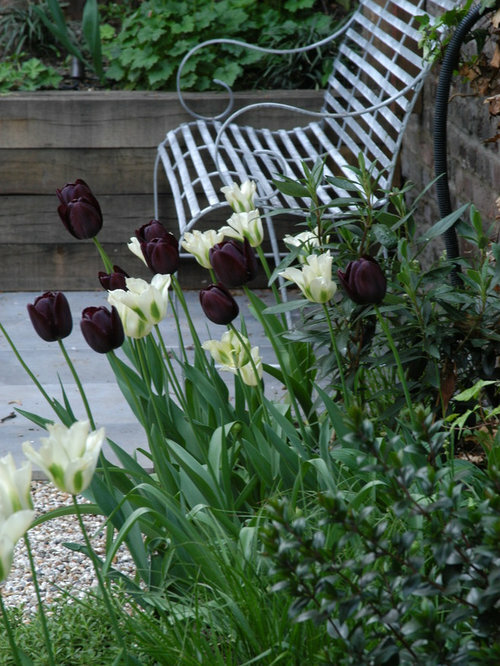 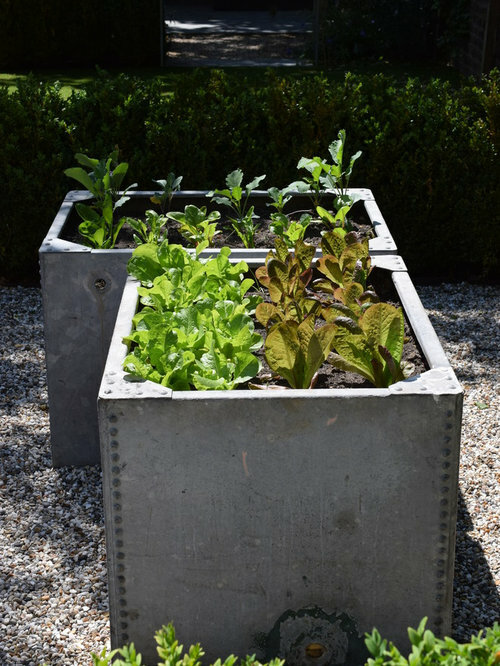 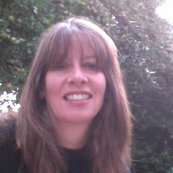 Paths are of flint gravel, and timber sleepers are used for a herb raised bed, and around a tree at the end of the garden. 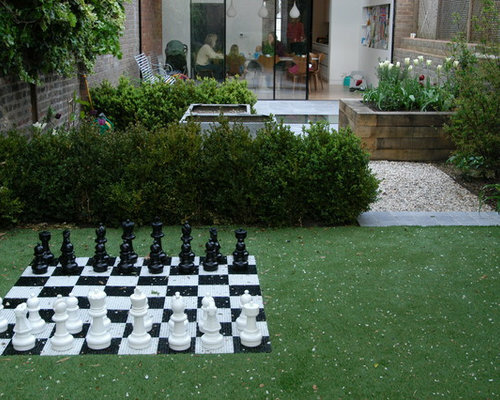 Chess on the lawn anyone? 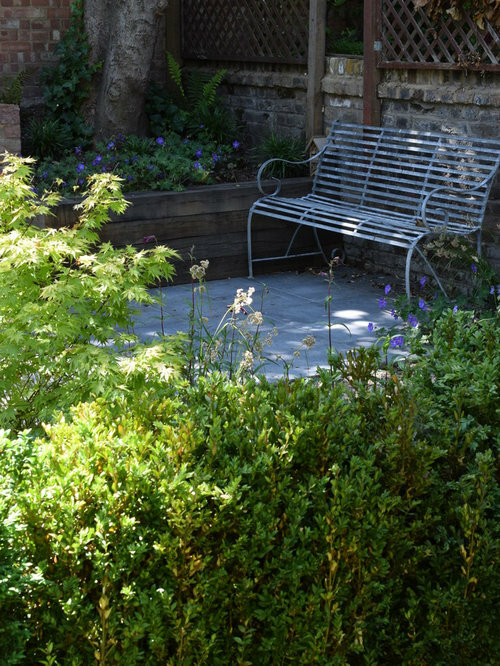 Seating area at the end of the garden, with timber raised bed around existing tree, bluestone paving, and an iron bench. 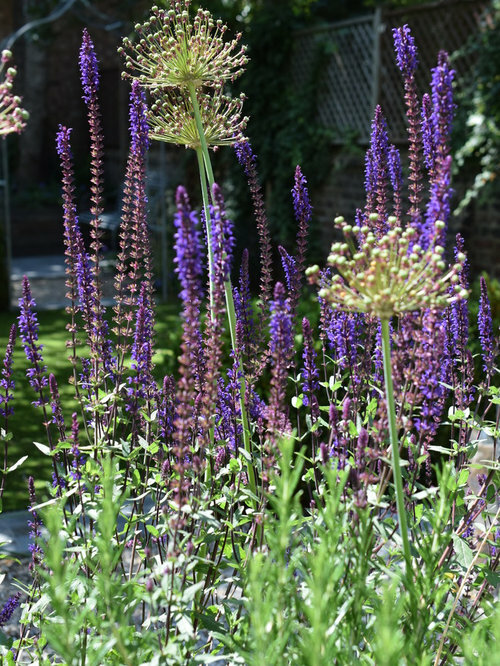 Timber raised bed with salvia and herbs. 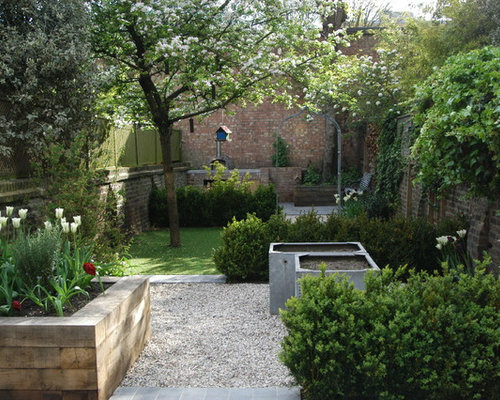 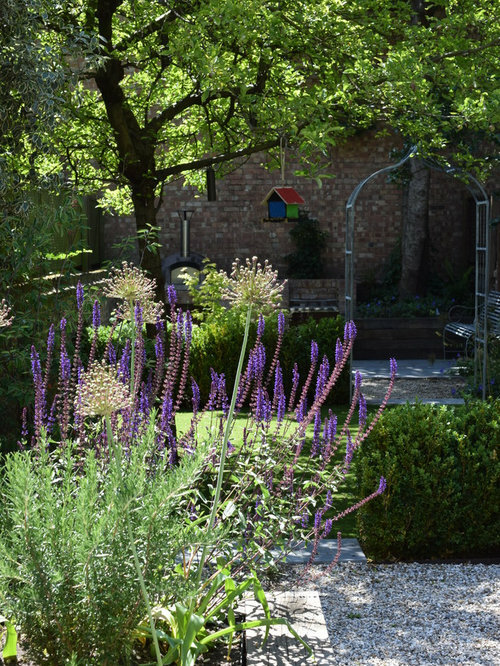 Garden is divided into sections through use of lines of box hedge. 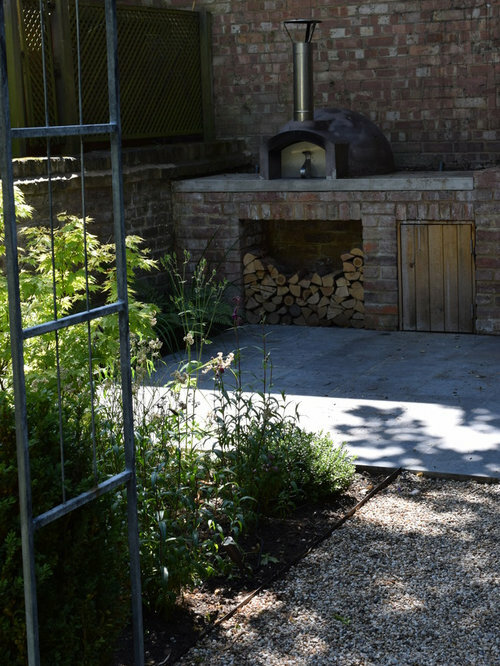 The end of the garden includes a wood fired oven from the stonebake oven company, a log store and a charcoal barbecue. 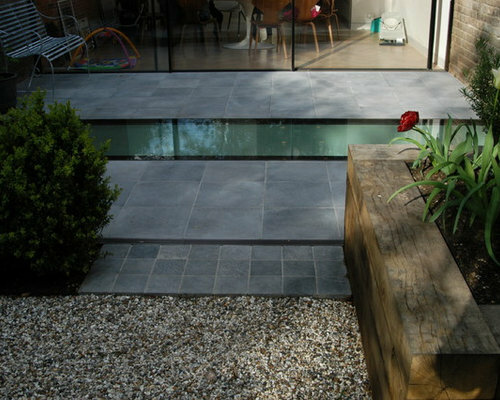 Bluestone paving and flint gravel.